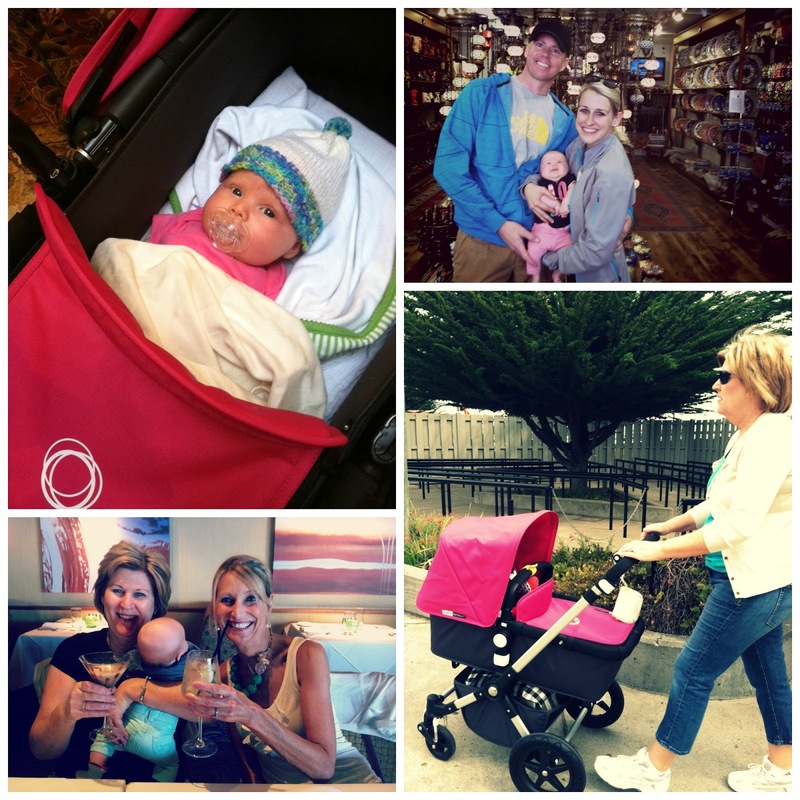 Last week, my parents, grandparents, aunt & uncle, TL, Andie & I all went to Monterey for a couple of days. It was so amazing to escape the heat and spend some quality time with family. We stayed at the Spindrift Inn on Cannery Row. It's a beautiful little boutique hotel. One of my parent's favorite places to stay. My grandparents are amazing people and I am grateful for any time we get to spend with them. At 86 years old, my grandpa doesn't miss a beat. He loves waking up and taking walks with us along the coast. He's the friendliest guy you'll ever meet and makes friends everywhere he goes. We took him to Point Lobos and he was in awe with the beauty... it makes me really appreciate life seeing it through his eyes. He and my grandma are so darn cute together. My grandma is extremely smart and when you talk to her you'd never guess that she is 83 years old. She has such a great outlook on life, love and family. I hope to follow the example they've set in life. My grandpa just loves to be with his family... it doesn't matter where he is or what he's doing, just as long as he is with the people he loves. The day we got there, my grandpa saw Andie in her stroller, leaned over to me and said "now... that is what an angel looks like." I will always remember that. We took a long beautiful drive around Carmel, Pebble Beach, and Monterey. TL used to live in Monterey so he was our tour guide. We stopped for lunch at RG Burger and my grandpa loved his chocolate peanut butter milk shake. My dad, uncle, and TL also took a long 30 mile bike ride. It was a wonderful couple days spending time with them all... my aunt, uncle, and parents are so cute! Andie and her great grandpa! Andie in her bassinet, TL and I in a turkish store, mom & aunt chelle at dinner, and Gramz (my mom) in heaven pushing Andie around on our long walks! The CA coast is beautiful, we are so fortunate to live close by! What a lovely getaway and a precious family! Was it really that cool that you needed long sleeves? I would love to travel to the west coast and see California. I love how you talk about your family Tracy.. Such a wonderful group of people you all are. Glad you get to make these memories with your grandparents and Andie! I wish my grandma had had more time with Hayleigh and got to meet Avery. Looks like a great time! This heat is killer. Glad you're enjoying that sweet little girl.. I just love seeing pictures of her that you post! I love Monterey and Carmel!! Two very special spots to us as well. And your grandparents are ADORABLE! How lucky you are to be able to see them often! Your grandpa does not look his age at all! Super spunky! Love the pic of him holding Andie! Adorable! I love everything about these pictures! Andie is precious as can be, your grandfather is squeezable and you are the happiest parents!! 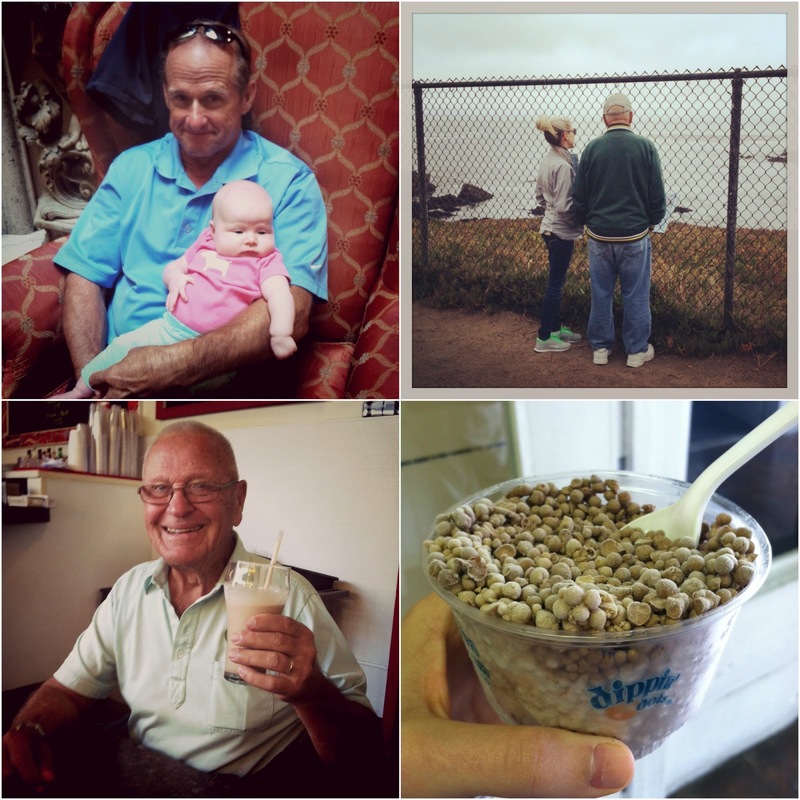 Your grandpa is just darling ~ and, an Oregon Duck fan to boot! He's got great taste!! :) Lovely post about family. beautiful photos! I'm in love with Andie's sweet cheeks! Looks like so much fun! We love going to Monterrey / Carmel! The beach, 17 mile drive, the aquarium, Hogs Breath Inn ... you've got me itching for another trip down there real soon! dippin dots!! love monterey. it's so peaceful and relaxing. What a beautiful place and looks like such a great time with fam! And Andie just gets cuter every time I see your pics! You are looking fabulous lady! It looks like it was a great time!